Have you suffered losses in a Ridgewood Energy investment program? If so, The White Law Group may be able to help you recover some of your losses through a claim against the brokerage firm that recommended the investment. According to their website, Ridgewood Energy is a private equity firm focused on finding and developing oil and gas in deepwater Gulf of Mexico. The company is based in Houston, Texas and Montvale, New Jersey. In July 2015, Ridgewood Energy Oil & Gas Fund II was the largest fund to date with total capital commitments of more than $1.9 billion. Given the decline in the price of oil, it appears clear that recent offerings by Ridgewood Energy would be underperforming. 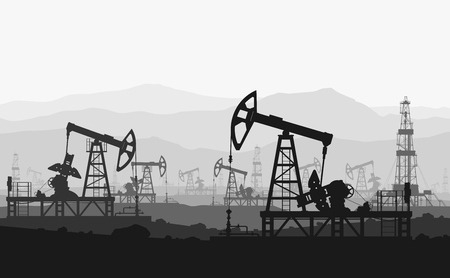 The White Law Group is investigating the liability that brokerage firms have for recommending high-risk oil and gas programs. The firm has handled a number of claims involving Ridgewood Energy. In those claims, the firm has alleged, among other things, that the Ridgewood Energy investments were (1) high-risk and unsuitable for our clients given their financial situation, needs and investment objectives, (2) that the risks of the investment were not fully disclosed to them, and (3) that the brokerage firms failed to conduct the proper due diligence with respect to the Ridgewood Energy investments (as the firms are required to do by FINRA Rules). Some of the problems associated with oil and gas limited partnerships, like those offered by Ridgewood, include lack of liquidity and lack of regulatory oversight. Often these types of investments are exempt from registration with the Securities and Exchange Commission (SEC). They are also high risk investments generally intended for institutional and sophisticated investors. Even more troubling is the high commission fees, often 3-4x higher than traditional investments like mutual funds or bonds, which unfortunately may entice some brokers to push these types of investments into the hands of unsuspecting investors. Ridgewood Energy Oil & Gas Fund II, L.P.
Ridgewood Energy Oil & Gas Fund III, L.P. If you invested in a Ridgewood Energy offering and would like to discuss your litigation options, please call The White Law Group at 888-637-5510 for a free consultation.